The best way to think of the London Overground Train service is as an extension of the London Tube, except above ground. 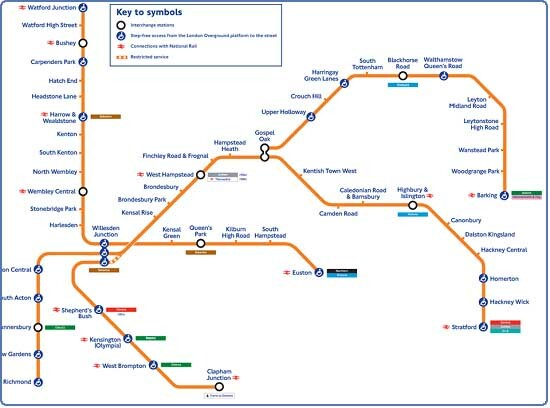 In fact many of the maps that you will see posted at stations or online incoporate both the Tube and Overground. Firstly, you'll need a map. Overground stations that intersect with the London Underground are clearly marked with the colored line names. It can look a little daunting but in no time you'll see how great it is to only ever be a few minutes walk from a station. 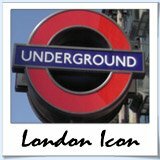 Train Maps are available at all stations, however if you want to take a look before you come, check it out online on the Travel For London website. 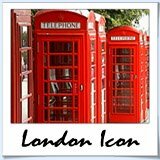 Travel For London online store.